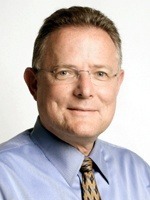 Join AAJA Seattle as we say goodbye to Seattle Times Executive Editor David Boardman. Boardman is leaving to become dean of the School of Media and Communication at Temple University in Philadelphia, Pa.
Boardman has been a champion of AAJA and the Seattle chapter, supporting our scholarship, donating auction items to our lunar banquet and coming to our annual Northwest Journalists of Color Scholarship night. He is one of the few executive editors in the nation who makes it a priority to personally attend our national convention. I could not have served as AAJA national president without his support. 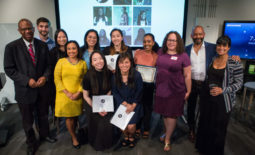 Announcing the #2K2WKS Challenge: Donate to Power of One by Aug. 5 and Frank Blethen will match it	Convention stipend available for one student through AAJA-D.C.